Think it’s hard to get more Facebook Likes? 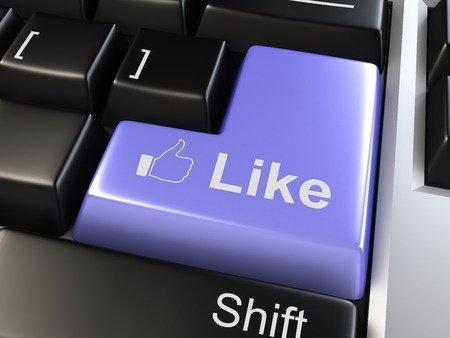 Try out these twenty tactics to get more likes on your Facebook Page for life. Add a “Like” button to your website. Put your Facebook Page link on your business card. Put a QR code (pointing to your Facebook Page) on any printed advertisement. Interact with another page on Facebook (while logged into your Page). Post more content on your Facebook Page. Embed a Facebook post on your blog or website. Put a “follow” button at the top of every website page. Put a “follow” button at the bottom of every blog post. Add a Facebook share button to every blog post and website page. Share your Facebook Page content to your personal Facebook profile. Add your Facebook Page link to your invoices (especially if you send them by email). Add a paragraph about what fans will get if they like your Page (i.e. coupons, free tips, updates on new products or services) to the about section. Write a post that’s controversial. Use Facebook ads to get more Likes to your Page. Add a “follow” button to your marketing emails. Add a link to your Facebook Page to the signature of your emails. Share your Facebook link on your other social media sites. Promote or “boost” a post from your Facebook Page. Bonus points if you promote a post that got a lot of engagement. Add a “Like” box to your website or blog. Promote a Facebook post that did well, by linking to it on your other social media networks.